SpaceX SuperDraco engine testing. 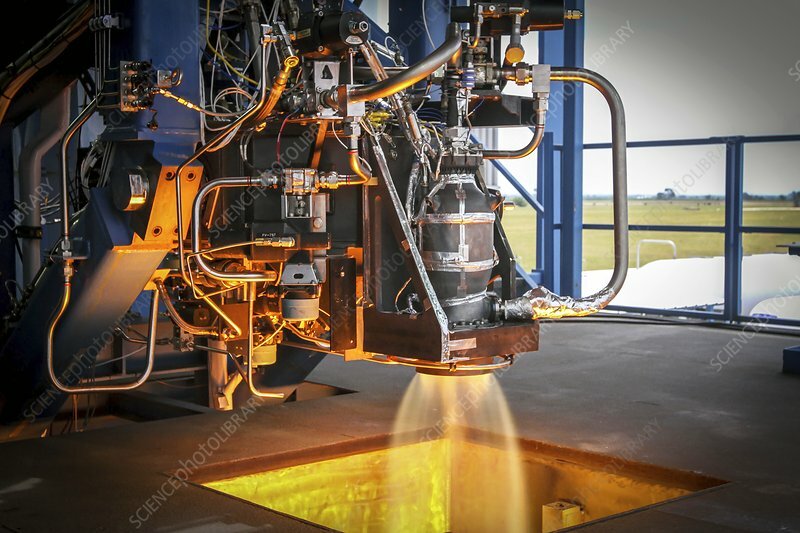 SuperDraco engine being hot-fired at the SpaceX test facility in McGregor, Texas, USA. SpaceX is developing its Crew Dragon spacecraft and Falcon 9 rocket in partnership with NASA's Commercial Crew Program to carry astronauts to and from the International Space Station (ISS). Photographed on 21 May 2014.